Find the best Northern Tier Adventure t-shirt design ideas with our t-shirt design viewer below. Click on any design below for a larger preview and an instant price quote, and customize any of these Northern Tier t-shirt design ideas for free. 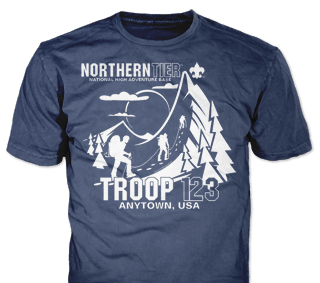 Learn more about custom Northern Tier t-shirts for your Northern Tier Adventure adventure! 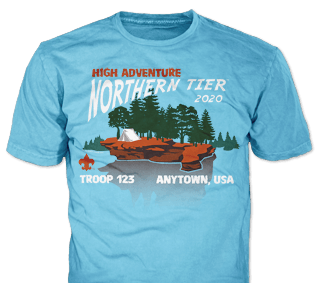 Our staff are experts in custom Northern Tier t-shirts, and will help you create a custom t-shirt design for your Northern Tier Adventure at no extra charge! Be sure to check out all the different t-shirt styles you can mix and match in your order.